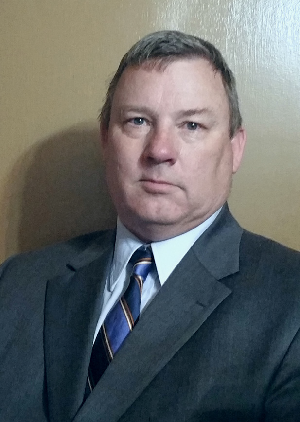 May 9, 2016 – Propex GeoSolutions is proud to announce the addition of Wesley Michael to our growing team of professionals, as our new Coal Combustion Residuals (CCR) Market Segment Manager. Wesley comes from an extensive project and operations management background, most recently a senior projects coordinator at Talen Energy in York Haven, Pennsylvania. Wesley supervised CCR regulatory compliance efforts at Talen Energy, including inspection, operations, and reporting for impoundments, as well as successfully closing active disposal basins. Wesley has vast knowledge of the industry from years of working with contractors, engineers, and suppliers in the implementation of various best management practices, including geosynthetics. Wesley lives in Etters, PA with his wife of 30 years, Agapita and beloved Shiloh Shepherd, Ludo. Wesley has two grown children, a grandson and a new granddaughter. In his spare time, Wesley likes to go fly fishing, competitively show his dog, Ludo, and create advanced culinary masterpieces. As a leading provider of geosynthetic stabilization solutions and geotextile fabrics, Propex has invested over 20 years in developing products to answer some of the globe’s most complex civil and geotechnical engineering needs. Specifically for the CCR environment, Propex has developed a proprietary geotextile fabric with superior filtration properties, used exclusively in the COALDRAIN® geocomposite solution. Many other Propex geotextiles comprise key elements of containment solutions, including other geocomposites and Geosynthetic Clay Liner (GCL) bottom liner products. Propex also has a family of leading geosynthetic erosion control and slope stabilization systems, including the ARMORMAX® Anchor Reinforced Vegetation System (ARVS), PYRAMAT® High Performance Turf Reinforcement Mat (HPTRM), and LANDLOK® Turf Reinforcement Mats (TRMs). These solutions are cost-effective, easy-to-install alternatives for grading and slope protection/ reinforcement challenges throughout the plant site. And as always, Propex manufactures the highest quality soil stabilization and reinforcement solutions, including GEOTEX® woven and nonwoven geotextiles. Propex GeoSolutions is a global leader in geosynthetic solutions for earth stabilization. As one of the largest geotextile manufacturers in the world, our portfolio of solutions helps build and rebuild key infrastructure across the globe. Backed by a legacy of innovation, Propex GeoSolutions transcends traditional methods with engineered solutions that stabilize earth and set the benchmark for long term performance. Our commitment to quality, technical expertise, and constant pursuit of game changing innovations put Propex GeoSolutions in the forefront of supporting a stable tomorrow. As the industry leaders in providing geotextile solutions for civil engineering, erosion control, and slope stabilization applications, Propex offers world-class technical support for all different stages of your project. At Propex, we invest in intellectual talent to ensure that you are provided support by an expert in their field.